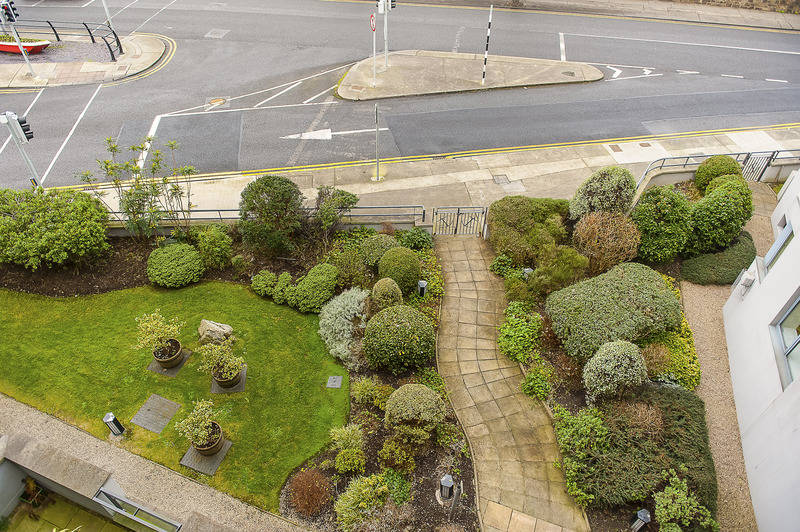 Location: 49 The Anchorage, Clarence Street, Dun Laoghaire, Co. Dublin. Description: Two bedroom apartment with fantastic sea view. 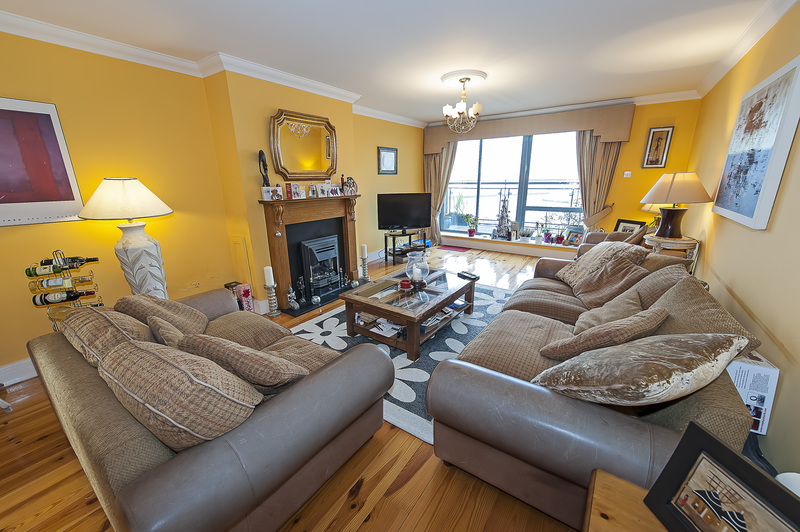 Fantastic sea view, 4th floor two bedroom apartment extending to 96sq.m. / 1,035sq.ft. 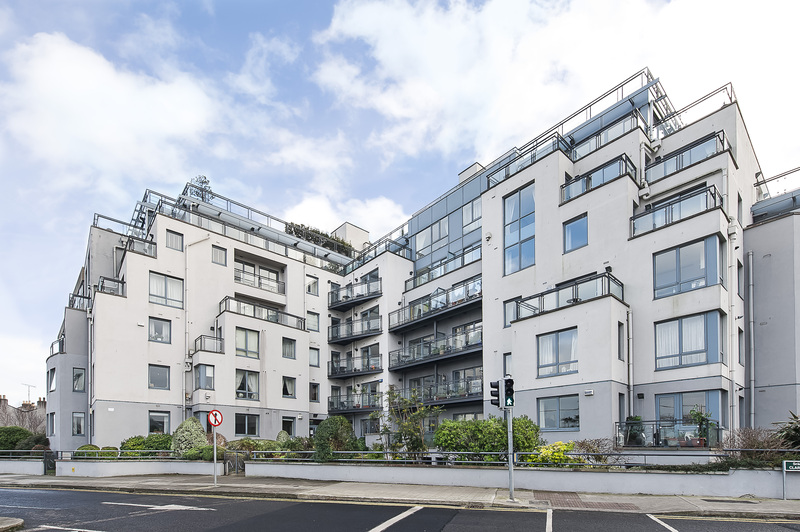 with two large balconies, this dual aspect apartment has everything one would require in a luxury apartment. Underground parking space included with gated entrance. 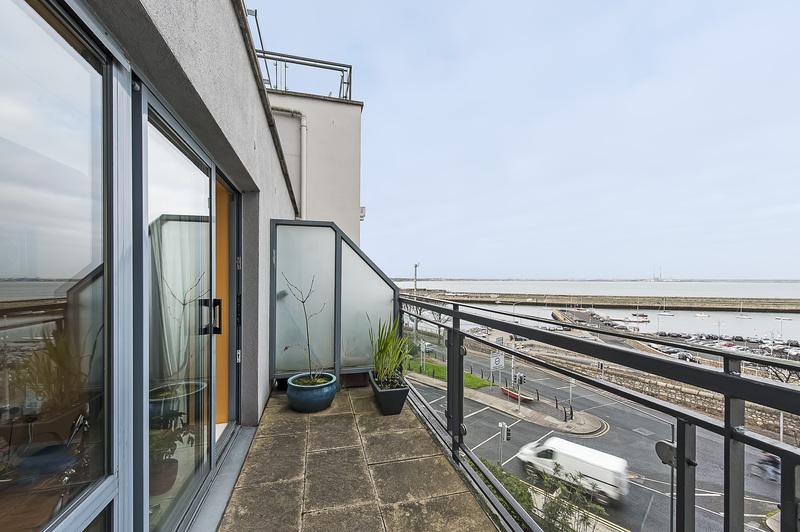 East facing balcony to the sea and west facing balcony to the rear of the building. 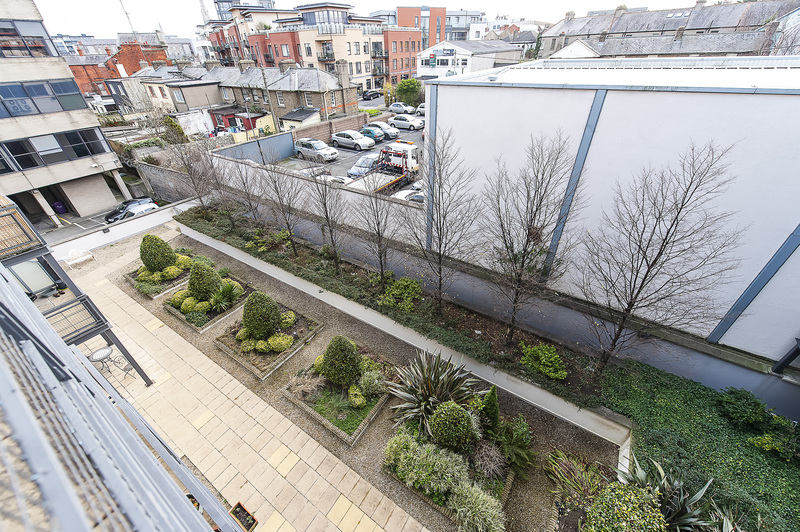 Directly opposite the harbour and close to DART Station. L Shaped entrance hall, alarm panel, intercom phone to main entrance, carpeted, coving and two centre rose architraves. Large cloakroom storage room. Hotpress. Oak fireplace with electric fire insert, coving, solid timber floor, centre rose architrave, TV point. Light coloured Arthur Bonnet maple kitchen. 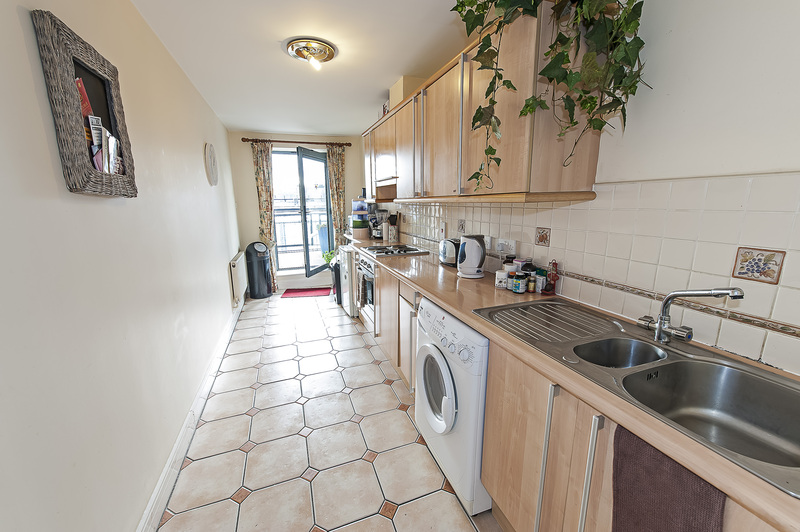 Long bright kitchen area with countertop the length of the room, complete floor tiling. 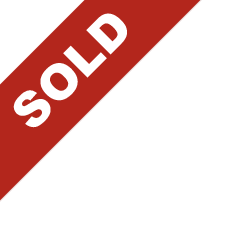 Neff hob and cooker, Hoover washer/dryer, Lec fridge, Neff cooker, extractor hood, door to balcony. Solid timber floor, double doors to entrance hall area. This dining area is open plan to the living area. Coving and centre rose architrave. Luxury bathroom with elegant cream wall and floor tiling. 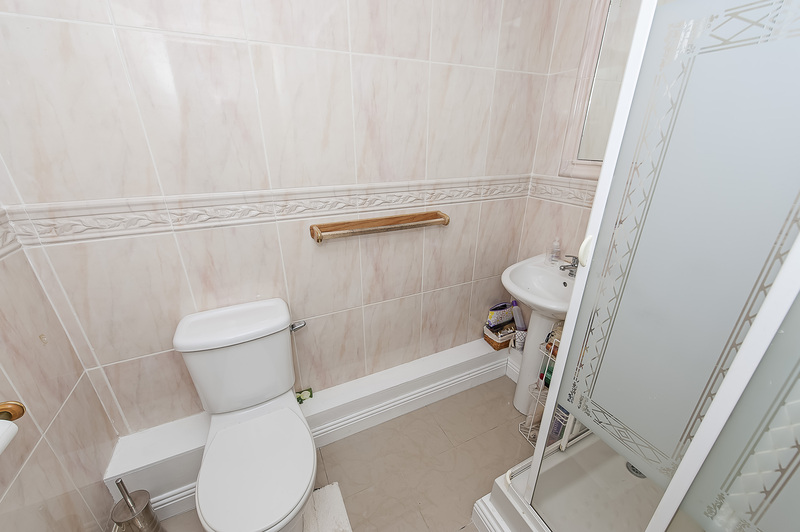 Bathroom suite comprises wc, whb, shower with glass door. 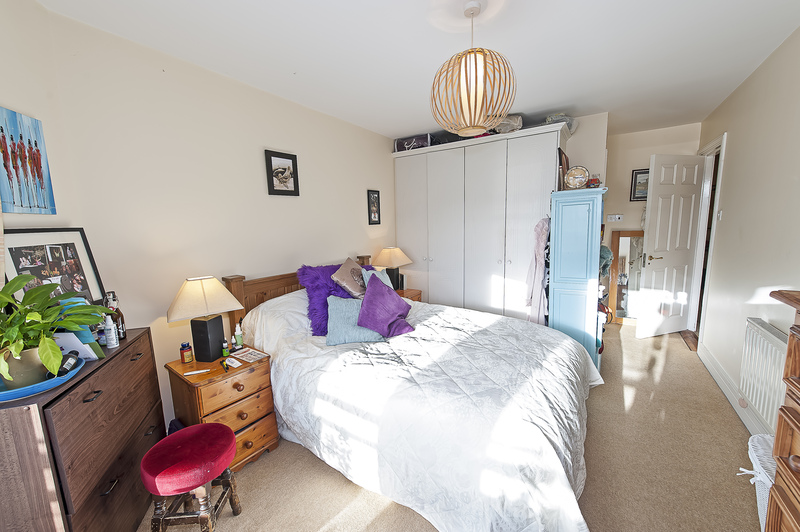 Very large double bedroom, fitted wardrobe and carpeted. 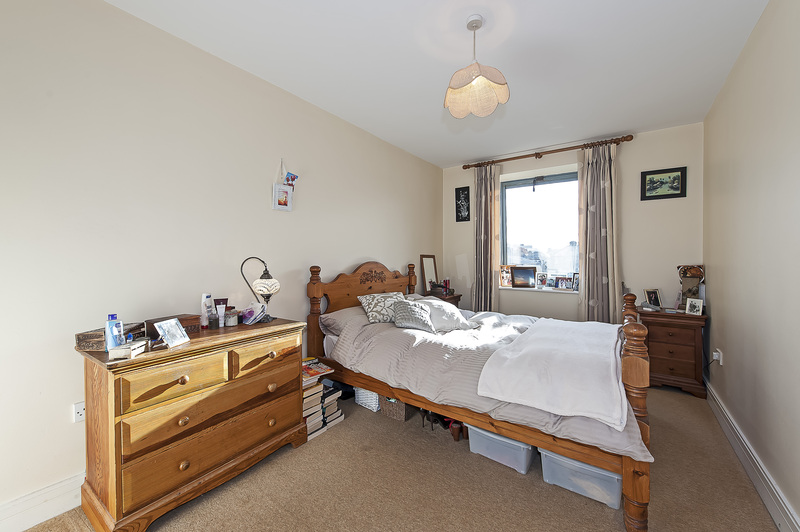 Very large double bedroom, fitted wardrobe, carpeted, door to balcony. 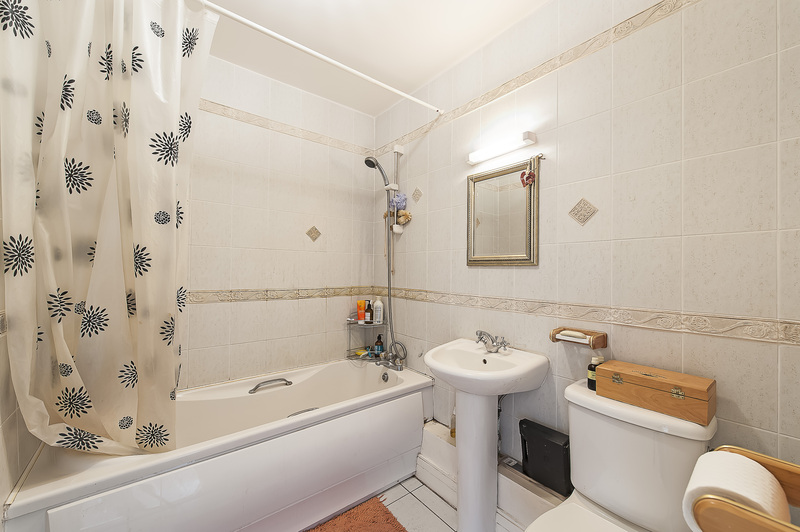 Big ensuite complete with wall and floor tiling, white suite comprising wc, whb, bath. Two large balconies. 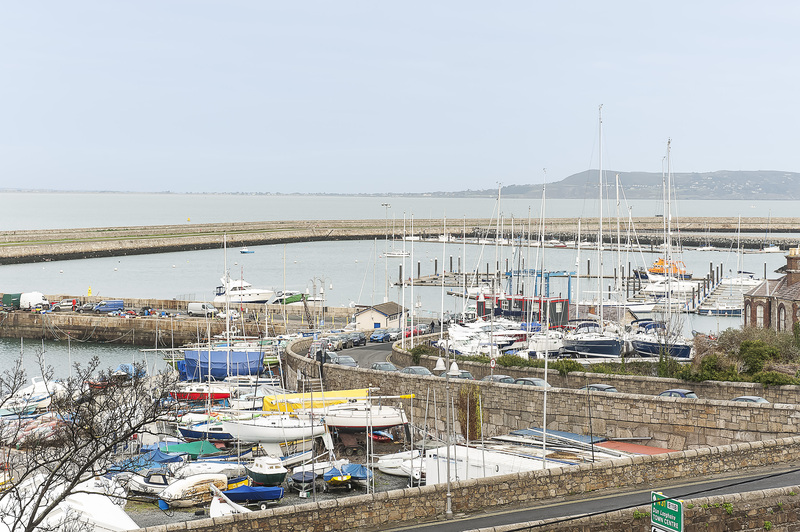 Sea view of Dun Laoghaire pier and view of back of Main Street, Dun Laoghaire. 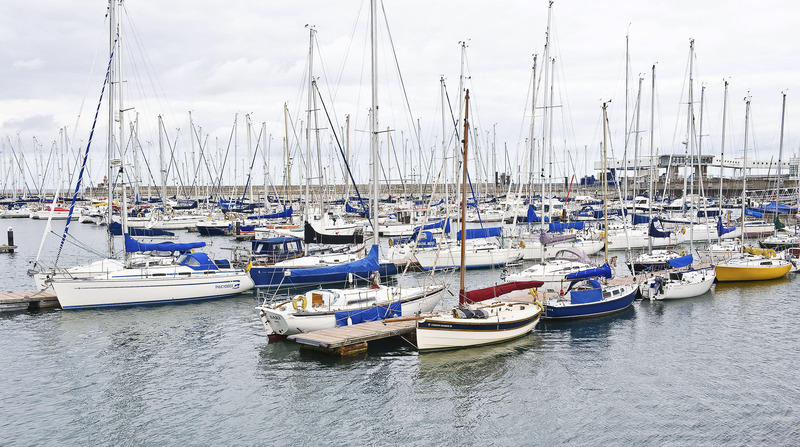 Sea View of Dun Laoghaire Harbour. 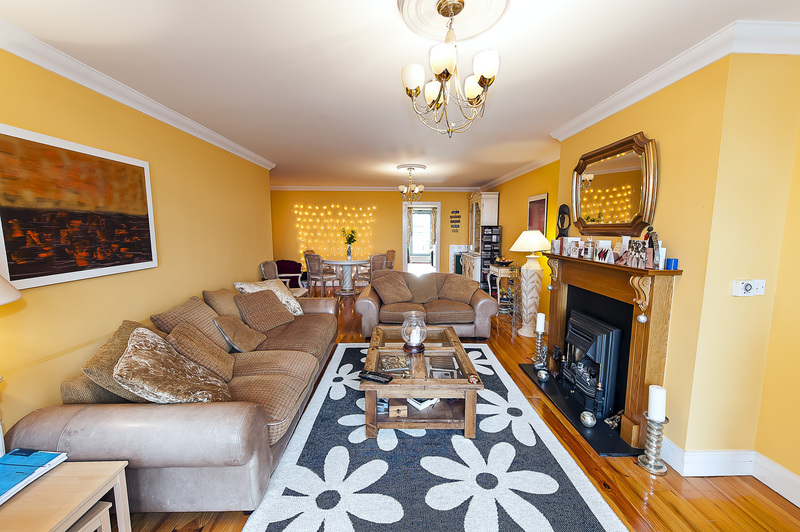 Currently rented for €1,400 per month. Serviced by both the DART and many bus routes. 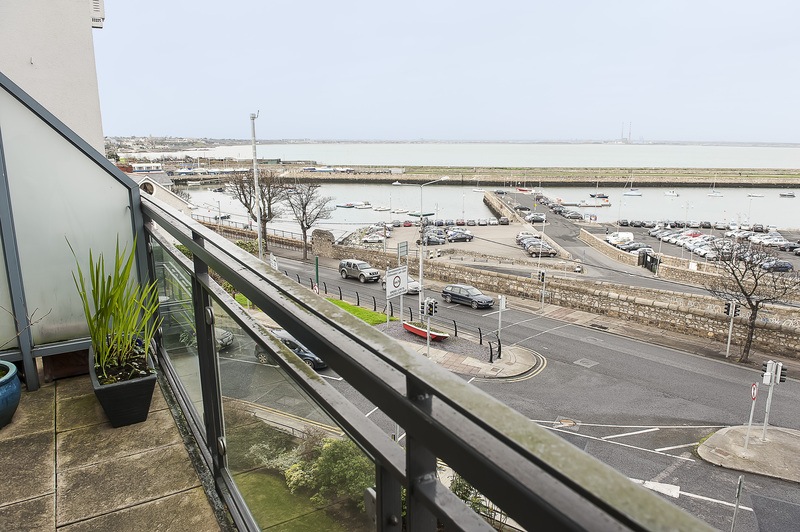 All the amenities of Dun Laoghaire are on your doorstep. Views of Dublin Bay and Howth. 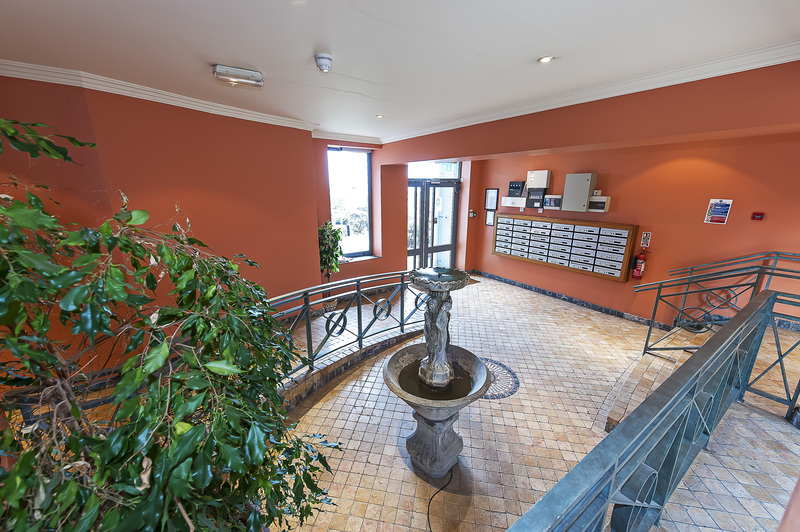 Full management service with caretaker on site. At the three-way junction with Crofton Road, turn right onto Clarence Street. The apartment block on the left hand side is The Anchorage. 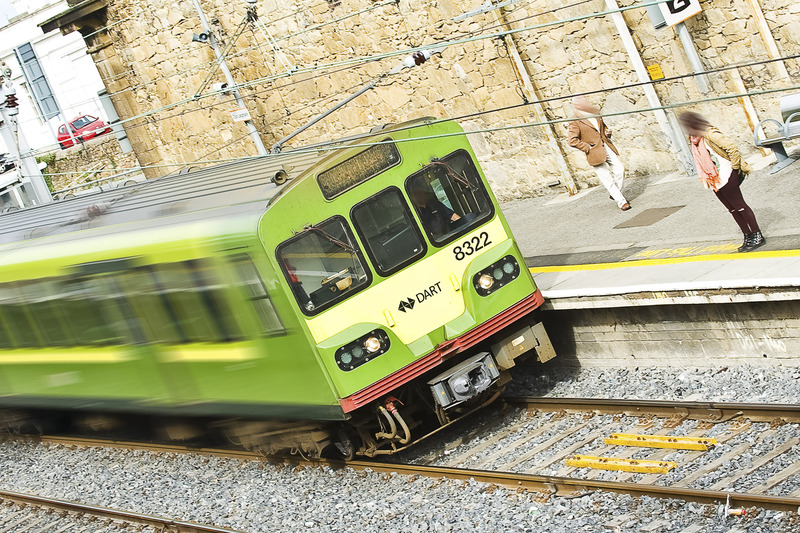 By DART: Hop on the DART, heading southbound and alight at Dun Laoghaire Station. Exit the station turning right and walk up Crofton Road until the junction with the Old Dunleary Road. Turn left onto Clarence Street where The Anchorage stands on your left hand side. By Bus: 46A towards Dun Laoghaire, 63 towards Dun Laoghaire. 75 towards Dun Laoaghaire or 7 towards Loughlinstown / Cherrywood. Alight at bus stop 2035 on Clarence Street and The Anchorage is across the road. The Anchorage Management Company Limited. 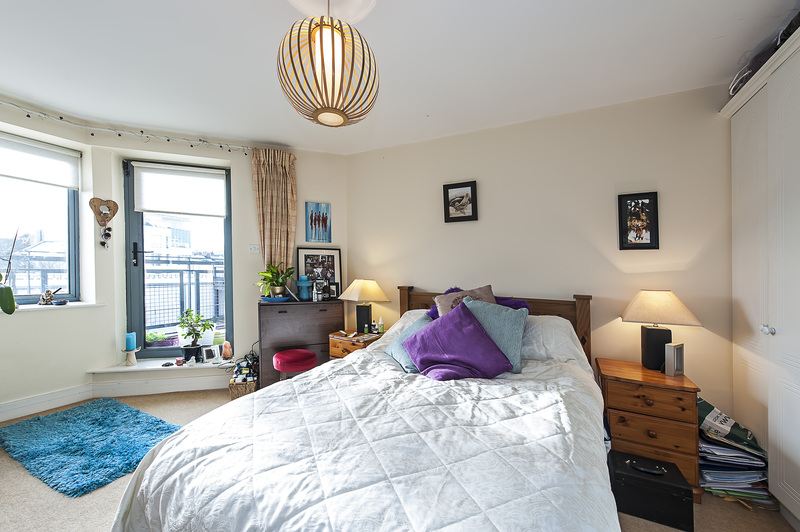 Strictly by pre-arranged appointment as there are tenants residing in the apartment.